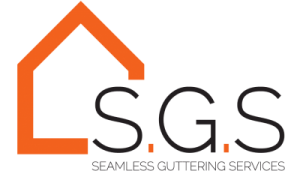 As the name suggests, seamless gutters have no seams. It is made from recycled aluminium coils. It can be installed up to 30 meters in continuous lengths and manufactured directly onsite. The beauty of Ogee profiles is that they suit both traditional, period and modern properties. The long seamless lengths are highly aesthetically pleasing vs any other style of rain water system on the market. 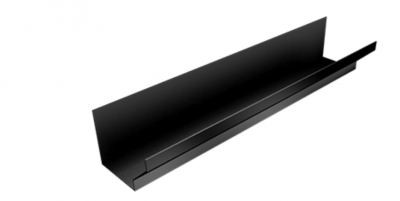 When it comes to seamless guttering there is a choice of two sizes 5 inch and 6 inch. 125mm x 90mm (Residential) – 125mm is the catchment area of the gutter and 90mm is the back edge height. This size would usually be best suited to average sized domestic properties such as terraced semi and detached. 15mm x 130mm (Commercial) – 150mm is the catchment area of the gutter and 120mm the back edge height. This size would be recommended be used on bigger properties i.e. schools, offices, blocks of flats and even some of the much larger houses. With our seamless gutters there is a choice of six colours as seen. These are: BS 08B29 Brown, RAL 9005 Matt Black, Satin White, RAL 7037 Matt Grey, RAL 1015 which is a cream colour. And finally our most popular which is RAL 7016 Anthracite Grey.